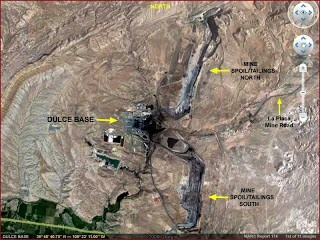 Dulce, New Mexico – is a small quiet little town located about 7,000 feet on the Jicarilla Apache Indian Reservation. The town is home to approximately about 900 people with only one major Hotel and just a few stores. Dulce is not your typical resort town, far from it in fact and is in no way bustling with activity. However, this small sleepy town harbours a very dark deep, secret hidden way down below the tangled brush of Archuleta Mesa. 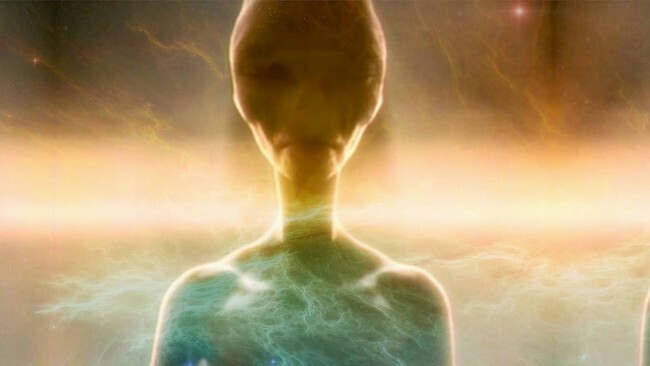 A secret so deep, that it apparently involves a joint US government-alien bio-genetic laboratory designed to carry out bizarre experiments on humans and animals (yes it does sound pretty sick doesn’t it!). 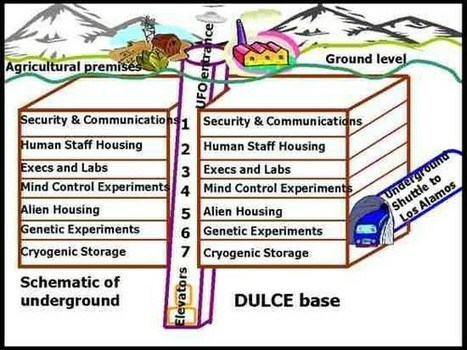 The Dulce Base is apparently believed to be the largest Reptilian and Grey Alien base in America where there are allegedly conducting experiments including: atomic manipulation, cloning, mind control, animal/human crossbreeding, chip implantation, abduction, and feeding off of humans…a charming place!? The video below is a very important watch which contains extraordinary notes taken by a scientist who was commissioned by the government to visit and provide evidence for alien crash sites and observe alien life (the scientist is now in hiding). 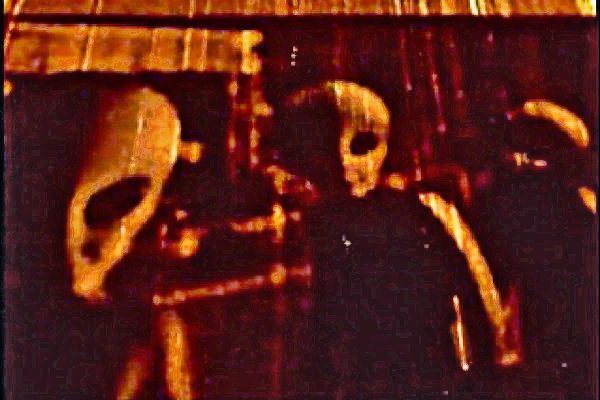 In the video below the scientist reveals top secret information on the Dulce Base and its inner workings. Please note, that apparently we must warn you, the information is the video is top secret, and just by reading it, it puts a target on your back, people have been killed for sharing this knowledge. So please watch with caution….although I am pretty sure you will all be perfectly safe! 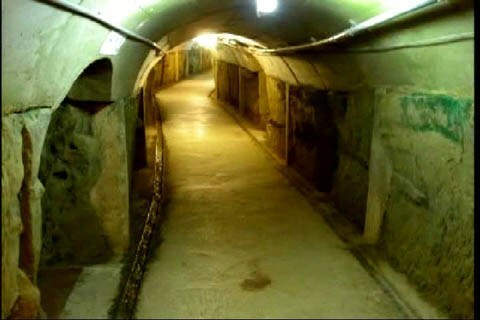 The pictures below were allegedly smuggled out of the base by a Dulce security officer at the time named, Thomas Costello. He and his family are missing & presumed dead by the public….it seems a common theme people vanishing nowadays!!? The document below is the alleged result of the actions of a few scientists creating a covert, unauthorized notebook documenting their involvement with an Above Top Secret government program. Government publications and information obtained by the use of public tax monies cannot be subject to copyright. This document is released into the public domain for all citizens of the United States of America……Basically ‘they’ cannot hide this from us! I would just like to confirm that U.I.P is now actively investigating Dulce and if possible get boots on the ground near the area so that we can record what kind of activity is going on in this part of the world! It occurs to me that if you wish to effectively silence an individual, and or render them neutralized without the mess that murder incurs, simply take them to a deep underground facility, and they are never seen or heard from again. In fact the number of missing people has risen dramatically lately….